Hire my team and I to create a top-of-the-line sales page for your next launch that is built for connection and conversions! Let's create a sales page that converts browsers into buyers, cuts through the noise and makes your readers pay attention. This isn't your first trip down launching lane, so you know how much time and effort goes into creating a new offer and launching it into the world. It's definitely not a piece of cake, although the feeling of accomplishment when you're done is one that can't be beat. Your sales page is just a small part of your mile-long to-do list, but also a crucial step that you don't want to get wrong. An amateur sales page just won't cut it anymore. The job of your sales page is to connect with your readers and take them on a journey from where they are now to where they could be. And that's my main focus when crafting your custom sales page. I work with creatives, coaches and wellness experts who are in business to change the lives of their customers. I want you to focus on YOUR zone of genius, while I focus on MINE. This isn't my first-time around the block, either. Need a creative partner you can trust to get the job done right so you can focus on the bigger-picture tasks. Don't have the time or creative team in place to create the sales page of your dreams. Have so many things on your plate that need your attention, and handing over the task of creating a sales page would save you so much sanity. Ultimately just want to build a business that gives you the freedom you crave. And this launch can make that happen for you. Natalie MacNeil, CHIEFTESS OF SHE TAKES ON THE WORLD INC. I've had the pleasure of working with some power-house entrepreneurs over the last few years. "Working with Amanda has been a total game changer. There are a lot of people that say they know what they're doing when it comes to design and funnels but Amanda is the real deal. Not only are my sales pages beautiful but they actually convert. She knows what works and what doesn't. Her ideas, feedback and guidance has helped me grow my business faster than trying to do it on my own." "Everything we create looks uniform and like it "goes together" and I attribute that to you! I always know that whatever project I'm working on, you'll make it look amazing and I can trust you no matter what. I never have to ask you for changes because it's always perfect the first time. You always get my vision and make it come to life." First, I will hop on a call with you and your team (if you have one) to talk details - program specifics, launch timelines, design direction, your ideal clients and how this program will help them. Then, we’ll review your sales page copy using my Sales Page Copy Templates to make sure we’ve hit all the important notes so your sales page connects with your ideal customers. If necessary, I can pull a copywriter on board to finesse your copy and make sure it’s perfect! Next, I get to work designing your sales page. I’ll start on the first 3 sections of the page and check in with you to make sure I am headed in the right direction and the overall style and vibe is working for you. Then, I’ll continue designing the rest of your sales page with periodic check-ins to get some feedback from you and make sure we continue on the right path. (I’m not a fan of surprises, and I’m sure you’re not either). 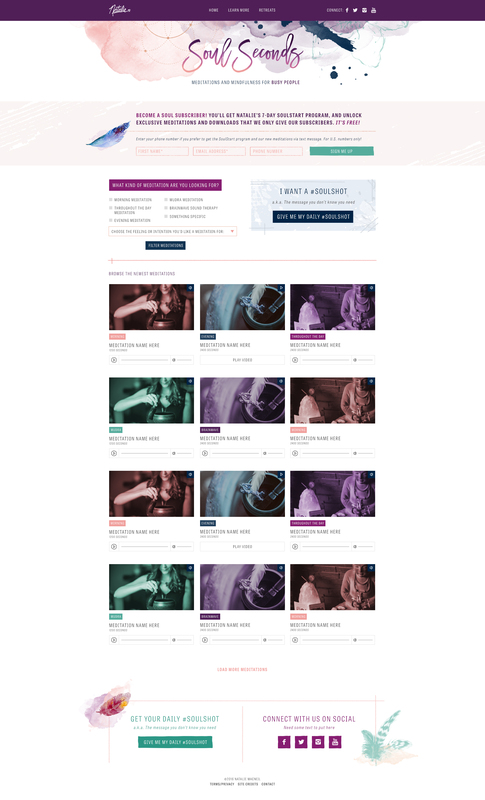 Once the sales page is fully designed, I’ll send it over to you and your team for one final look-through to make sure you are 100% in love with it. Next, we start the development phase. My team of developers will take our polished Photoshop file and make it come to life on the world wide web. Once the sales page is developed, we start the testing phase. We check the page on all major devices and browsers to make sure everything looks perfect no matter where your customers are viewing it. And finally, we launch! We double and triple check that everything looks amazing and functions perfectly so you have zero issues on launch day when people are ready to buy! “Over the years I've collaborated with Amanda on many, many sales pages, and she's a total pro. Her secret superpower is being able to instantly see where to improve your page, hidden opportunities and more. I cannot recommend working with Amanda enough when it comes to sales pages, landing pages or growing your business in general." 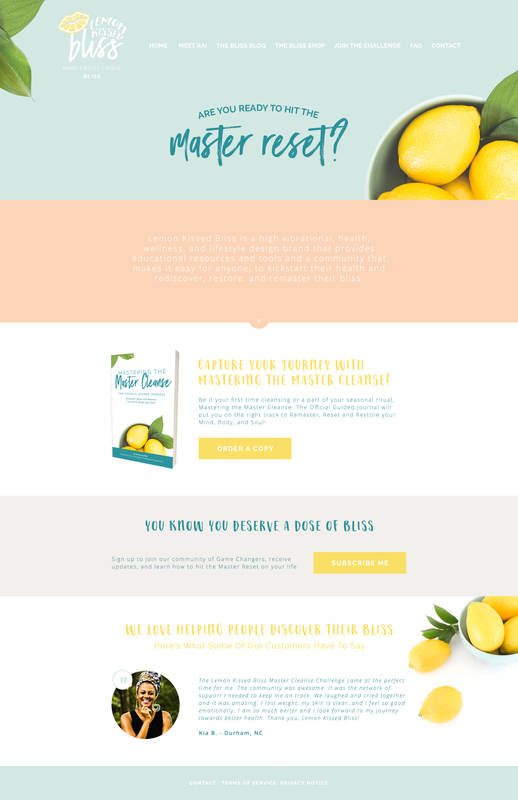 A free copy of my Short & Sweet Sales Page Copy Template so you can outline and write your sales page copy faster than you ever have before! A design style that matches your main brand to keep things consistent. A free copy of my Long-Form Sales Page Copy Template so you can outline and write your sales page copy faster than you ever have before! No worries! Fill out the inquiry form and we will create a custom proposal for your project. A typical Short & Sweet Sales Page Design project takes around 4 weeks. A Long-Form Sales Page Design project takes anywhere from 6-8 weeks depending on the length of the page an any other design projects you want me to work on for your launch. I’m launching in 4 weeks! Do you do rush jobs? What’s the difference between the 2 sales page options? The only difference between the 2 sales page packages is the length of your sales page. If you aren't sure which package you'll need, just send me your sales page copy and I can let you know! Yes, I can take your current sales page and re-design it. If you're just looking for my feedback on your current sales page, you can always book a Sales Accelerator Session and I will do a full review of your sales page and give you all of my suggestions for making it convert better. I’m setting up an evergreen course and need someone to design all of the sales funnel pages. Do you help with more than just the sales page? Yes, I do! And I absolutely LOVE building out start > finish sales funnels for my clients because it allows me to see the bigger goal of the sales page and make sure we are doing everything we can to get your dream customers engaged and buying! Meet Amanda - your new creative director! Click the button below, which will take you to the inquiry form. Fill out the design inquiry form below to get the process started. From there, I’ll review your answers to make sure we are a good fit. If it sounds like a match made in heaven, my team will send you a link to schedule a 20 minute discovery call with me. After we chat, we’ll put together a custom proposal, tailored to your project needs and send it over in your new client portal. Once the proposal has been accepted, you’ll be guided to the our project contract and the invoice where you can put down your down payment (which also holds your spot on my design calendar).